You can book here online using all major credit/debit cards or alternatively pay (cash only) at the door. Thank you. Event Location: 909 B. East Oak Street- Kissimmee, FL. 34744. Our church offers a variety of classes & workshops during the year to promote the development of both members and non members. Most Classes are either completed in one full day (Morning and Afternoon) or in 2 or 3 half days (usually Afternoons). When paying through PayPal (you can use - VISA, MasterCard, American Express etc), you'll receive an e-mail confirmation from PayPal, your registration will be processed and a record of your registration sent to the church. 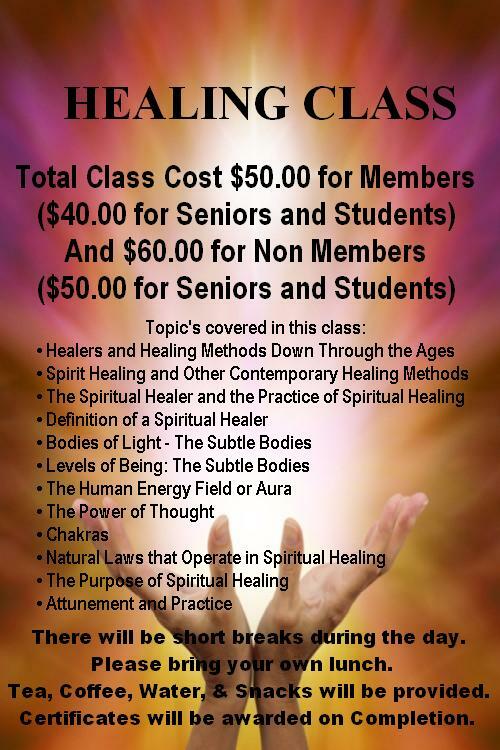 Please bring your confirmation e-mail with you as proof of payment. Thank you. 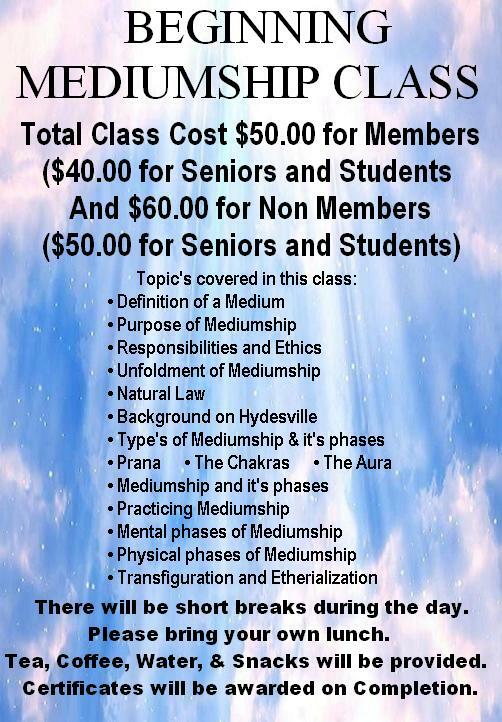 Available for those who have completed Introduction to Spiritualism and wish to develop as mediums. 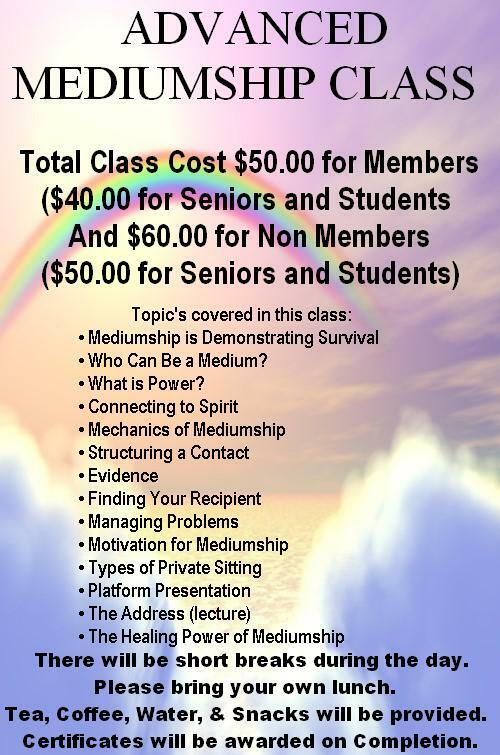 This course is mandatory for those wishing to participate in the Mediumship certification process. 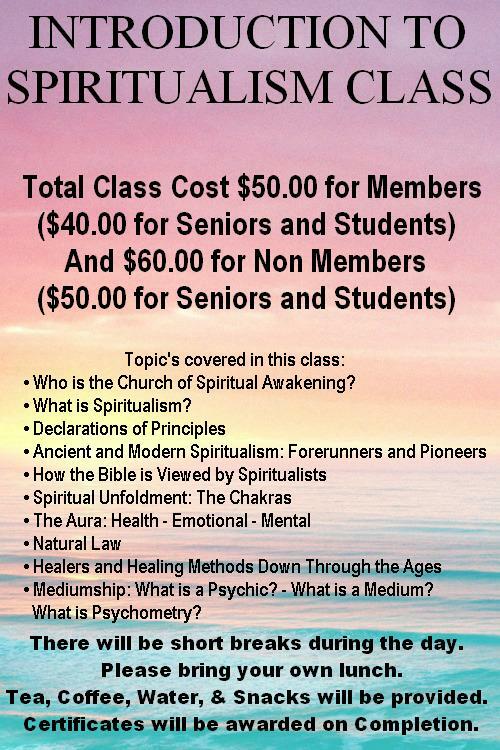 Prerequisite: Introduction to Spiritualism Classes and completion of the Beginning Mediumship class.